This is a must for our next house and I've been telling my husband for years, I want as many overhead windows as possible! In our current house the hallway, bathrooms and laundry room are so dark without the ceiling lamps. But by now we know natural light is much more preferred to fluorescent (or even LED) light for many reasons. Not only is it energy saving but it looks so much better and photographs better for that matter. 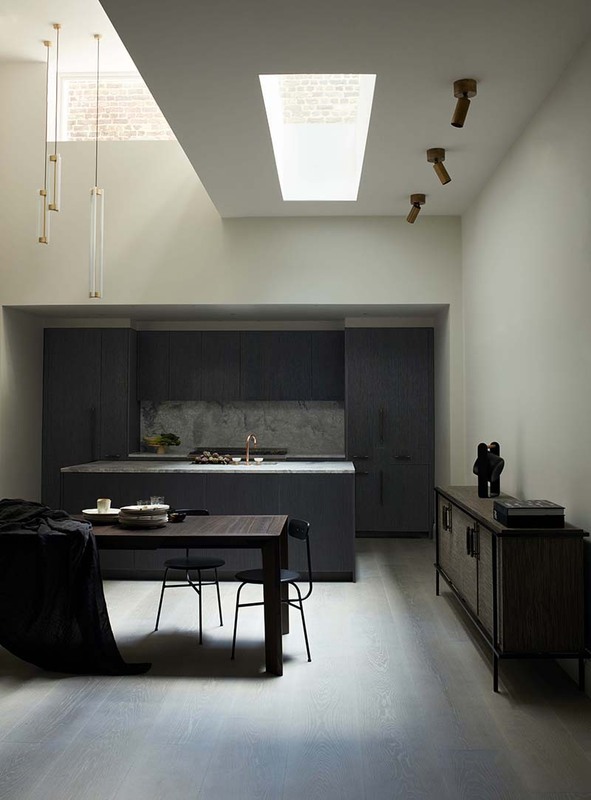 A great example of this is a residential home in Chelsea, London designed by Minale and Mann. 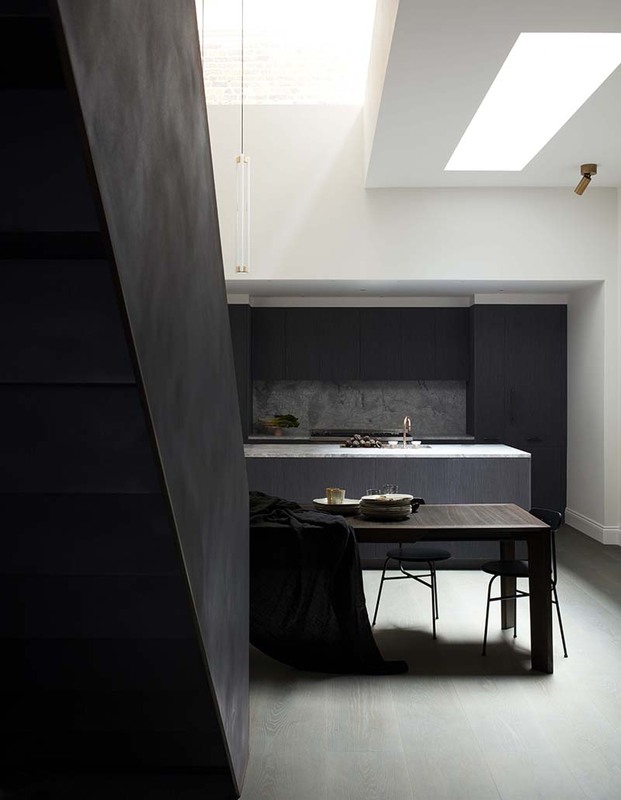 With a blackened steel stairwell and dark, smoky cabinetry in the kitchen this might otherwise be too dark and moody but the natural light beaming in overhead means electricity isn't necessary all day.